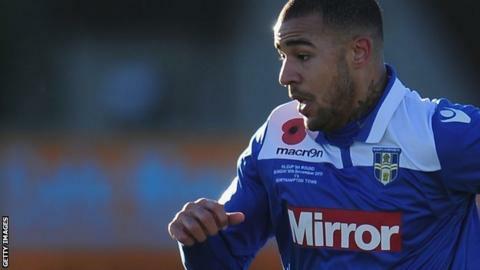 Two late goals from Kyle Vassell saw unbeaten Peterborough claim victory over MK Dons in a hotly contested game. Kenny McEvoy's deflected shot opened the scoring for Posh before Dele Alli tapped in Will Grigg's deflected effort to level. Vassell turned in a cross from Jon Taylor before poking in his second to give the hosts some breathing space. Daniel Powell pulled one back for the visitors to ensure a nervy end but Peterborough held on. ''It shouldn't have been a defeat. I thought we had the better chances for a large part of the game. Match ends, Peterborough United 3, MK Dons 2. Second Half ends, Peterborough United 3, MK Dons 2. Daniel Powell (MK Dons) wins a free kick in the defensive half. Attempt missed. Daniel Powell (MK Dons) right footed shot from outside the box is close, but misses to the left. Corner, MK Dons. Conceded by Sean Brisley. Kyle Vassell (Peterborough United) is shown the yellow card. Kyle McFadzean (MK Dons) wins a free kick on the left wing. Attempt missed. Danny Green (MK Dons) right footed shot from outside the box is close, but misses to the left. Goal! Peterborough United 3, MK Dons 2. Daniel Powell (MK Dons) right footed shot from the centre of the box to the bottom right corner. Assisted by Mark Randall. Goal! Peterborough United 3, MK Dons 1. Kyle Vassell (Peterborough United) header from the centre of the box to the bottom right corner. Assisted by Conor Washington. Substitution, Peterborough United. Tyrone Barnett replaces Jon Taylor. Corner, Peterborough United. Conceded by Darren Potter. Goal! Peterborough United 2, MK Dons 1. Kyle Vassell (Peterborough United) right footed shot from the centre of the box to the bottom left corner. Assisted by Jon Taylor. Attempt saved. Kyle Vassell (Peterborough United) right footed shot from outside the box is saved in the centre of the goal. Attempt saved. Dean Bowditch (MK Dons) right footed shot from outside the box is saved in the top centre of the goal. Substitution, MK Dons. Mark Randall replaces William Grigg. Attempt missed. Michael Bostwick (Peterborough United) right footed shot from outside the box is just a bit too high. Substitution, Peterborough United. Kyle Vassell replaces Jermaine Anderson. Jack Payne (Peterborough United) is shown the yellow card. Dean Bowditch (MK Dons) wins a free kick in the attacking half. Attempt missed. Lee Hodson (MK Dons) left footed shot from outside the box misses to the right. Substitution, MK Dons. Benik Afobe replaces Ben Reeves. Attempt missed. Sean Brisley (Peterborough United) header from very close range is just a bit too high. Corner, Peterborough United. Conceded by David Martin. Attempt missed. Jon Taylor (Peterborough United) header from the centre of the box is just a bit too high. Goal! Peterborough United 1, MK Dons 1. Dele Alli (MK Dons) right footed shot from very close range to the top left corner. Assisted by William Grigg.